Slow down and enjoy life of the Périgord Noir ! 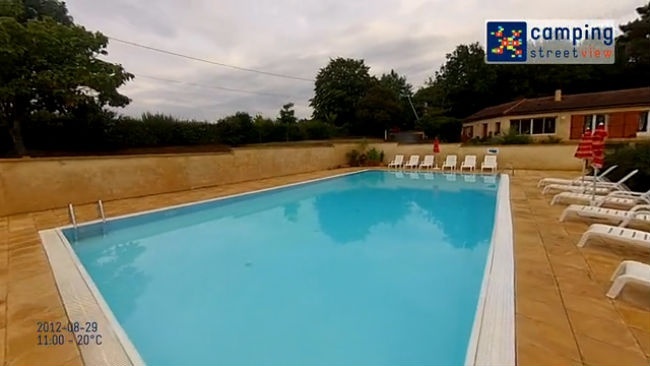 Slow down and enjoy the goods things in life at this small campsite set in the heart of the Périgord countryside close to Sarlat.Take the time to watch your kids playing in the heated pool or having fun in a craft workshop. Enjoy the delicious local specialities on offer at the Périgourdine evenings. Take advantage of one of the many signposted walks in the area. Or explore the rich cultural heritage of the Périgord Noir with its châteaux, caves and gardens. Our family receives many other families at this small campsite, a home away from home. We forgot to bring badminton racquets - the campsite had a nice badminton court close to our holiday chalet and we wished we'd bought an inexpensive set to play there in the evenings after going out sight-seeing! Some shade from the sun was very good. It was fairly standard accommodation and just what we expected from Flowers campsites - a comfortable, well-equipped holiday chalet in a quiet location yet close to amenities. Atmosphere, surroundings, so many things to do. Los Srs. Fernandes - los propietarios - el lugar y el acogimiento. El contacto con la familia que regenta el camping. Le calme dans un environnement sylvestre au sein, omniprésent de la faune aviaire variée. L'emplacement et Mobil-home bien équipé.